Gerenuk, Meru National Park, Kenya. Female. 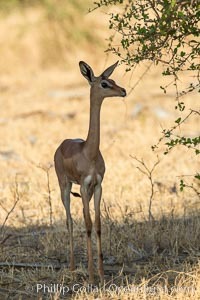 The Gerenuk is a long-necked antelope often called the giraffe-necked antelope. Litocranius walleri, Litocranius walleri Photo.